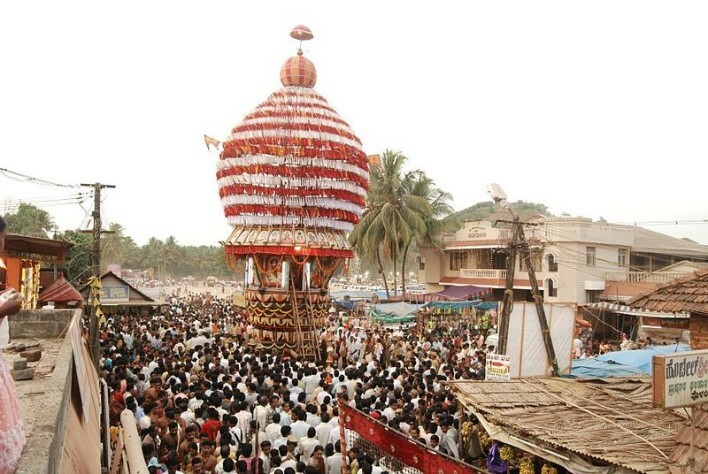 The Shri Raja Rajeshwari Temple is situated in the Dakshina Kannada district in Karnataka. This temple is located in the town of Polali on the banks of River Phalguni. The renowned temple, Shri Raja Rajeshwari temple, is situated in Kariyangala Village which comes under the Bantwal Takula of Karnataka state. 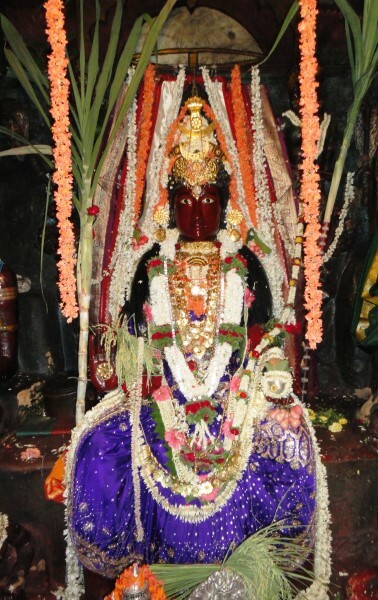 The temple is dedicated to the Goddess Shri Raja Rajeshwari. In ancient times the Goddess was known as Porala and the place was referred to as Pural. The Shri Raja Rajeshwari temple has been mentioned in several ancient epigraphs and old records. At a time when the evil forces or demons tortured innocent people, the Divine Mother, Sri Bhuvaneshwari, assumed a number of forms like Kali, Durga, Kumari and Tripura. She successfully established Dharma by protecting the good and destroying the bad. The above incarnations of the Devi were mere fractional incarnations; however, the full incarnation of Devi Bhuvaneshwari was Shri Lalitha Devi. She was renamed Shri Raja Rajeshwari after her coronation. Historians believe that this temple had many inscriptions that were either destroyed or removed. However, the Karnataka Government managed to preserve a few inscriptions which were discovered at Polali, Kariyangala and Ammunje. The Dakshina Kannada district was a part of many royal dynasties like Hoysala, Vijayanagara, Chalukya, Rashtrakoota, Kadamba, Aloopa, Ikkeri, Mysore etc. The inscriptions found here give important details and mention that these rulers appointed vassals like Ballal, Banga, Chouta to help rule over the Dakshin Kannada district. As per the rules mentioned in the Skandagama and Durgagama, daily poojas are conducted in this temple. The morning pooja starts at 8.30 A.M. which is followed by the Mahapooja at 12.30 P.M. The night pooja is conducted at 8.30 P.M. Two other poojas namely the Flower Pooja and the Karthika Pooja is conducted only at the time of daily poojas and not at other times. The Shri Raja Rajeshwari Temple at Polali lies 19 kilometres from Mangalore. A transit route can be taken by boarding a bus from Mangalore to Kaikamba (via Gurupura). At Kaikamba the person needs to take another bus which stops at Polali.